Houston –OCTOBER 20, 2015. Joey Logano and the No. 22 Shell-Pennzoil Ford race team put on an early show at the Kansas Speedway, racing from 14th to third in the first 18 laps of the Hollywood Casino 400. Once moving to the front, Logano became a top-three mainstay and ended the race by earning his second-straight NASCAR Sprint Cup Series victory following last week’s win at Charlotte Motor Speedway. 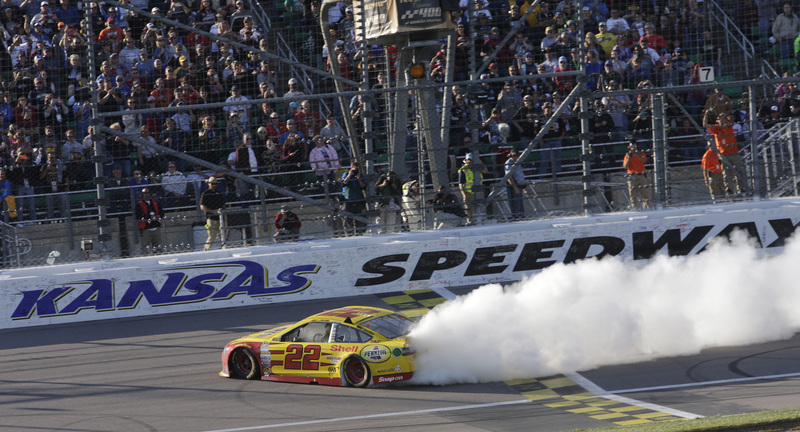 With Shell technology under the hood, the win at Kansas marked Logano’s and the No. 22 Team Penske race team’s fifth win of the season in the NASCAR Sprint Cup Series (NSCS).